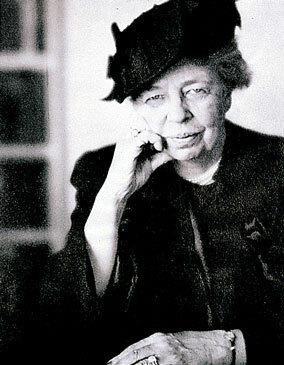 If you were running for president, it would be good to have Eleanor Roosevelt on your side. Franklin Roosevelt had this advantage. Eleanor’s hard work helped her husband win four terms in office. She rallied women around the Democratic Party. Thousands of women worked to elect FDR. 2 Eleanor was glad when her husband became President. She was also wary. She greatly admired Franklin as a leader. She agreed that government had a duty to make life better for its people. What she wasn’t sure about was being First Lady. Would she be pushed into the role of hostess? Would her time be taken up by a stream of social functions? 3 FDR’s first months in office were a rush of activity. Meanwhile, the new First Lady launched a whirlwind of her own. What Eleanor did was mold the office to fit her own talents and interests. She became the first woman ever to hold frequent press conferences. These meetings had an “Eleanor twist”—only women were allowed to attend. Agencies that wanted news of the First Lady had to hire female reporters. 4 Eleanor made many trips around the U.S. In the depths of the Depression, people welcomed her. They responded to her warm smile. They knew she cared about their struggles. She observed the plight of coal miners, farmers, and many others. When she reported on these visits, her husband caught a glimpse of the real problems of the people. 5 The details gleaned from these travels sparked many of the New Deal programs. One of Eleanor’s pet projects was the National Youth Administration. This job program helped students stay in school. Eleanor supported the WPA, another work program. Besides public works, the WPA sponsored projects in the arts. Artists, writers, actors, and musicians found work through them. These projects were favorites of the First Lady. 6 On a trip to the South, Eleanor discovered that blacks were being shut out of the New Deal. Civil rights became one of her highest concerns. She joined the NAACP and worked to stop racism. At a meeting in Alabama, Eleanor challenged laws that excluded blacks. She purposely chose a seat between the black and white sections. 7 Eleanor belonged to the prestigious group called Daughters of the American Revolution. She resigned her membership when the DAR refused to allow black singer Marian Anderson to perform at their hall. The First Lady arranged to have Anderson sing at the Lincoln Memorial. The event drew an audience of 75,000 people. 8 Eleanor was a powerful force in politics. She was the first woman to speak at the Democratic Convention. Her influence got women’s issues included in the party platform. When the nation entered World War II, she traveled the world. Her visits to soldiers and allies boosted the war effort. 10 In 1961, John F. Kennedy made Eleanor head of the Commission on the Status of Women. She continued to speak for the oppressed until her death in 1962. Until Eleanor, most Presidents’ wives did little more than decorate and entertain. Eleanor was determined to make her life count for something more. Life had given her a place in the halls of power. She used this place to help those in need. Born Sarah Breedlove on December 23, 1867 on a Delta, Louisiana plantation, this daughter of former slaves transformed herself from an uneducated farm laborer and laundress into of the twentieth century’s most successful, self-made women entrepreneur. Orphaned at age seven, she often said, “I got my start by giving myself a start.” She and her older sister, Louvenia, survived by working in the cotton fields of Delta and nearby Vicksburg, Mississippi. At 14, she married Moses McWilliams to escape abuse from her cruel brother-in-law, Jesse Powell. Her only daughter, Lelia (later known as A’Lelia Walker) was born on June 6, 1885. When her husband died two years later, she moved to St. Louis to join her four brothers who had established themselves as barbers. Working for as little as $1.50 a day, she managed to save enough money to educate her daughter. Friendships with other black women who were members of St. Paul A.M.E. Church and the National Association of Colored Women exposed her to a new way of viewing the world. Click on the picutue above to see an advertisment for Madame Walkers products. Walker herself moved to New York in 1916, leaving the day-to-day operations of the Madam C. J. Walker Manufacturing Company in Indianapolis to Ransom and Alice Kelly, her factory forelady and a former school teacher. She continued to oversee the business and to run the New York office. Once in Harlem, she quickly became involved in Harlem’s social and political life, taking special interest in the NAACP’s anti-lynching movement to which she contributed $5,000. In July 1917, when a white mob murdered more than three dozen blacks in East St. Louis, Illinois, Walker joined a group of Harlem leaders who visited the White House to present a petition favoring federal anti-lynching legislation. Have you ever thought about how different life was for women before the 1900’s? They had almost no rights, much like slaves. Money they earned was usually paid to their husbands. They were not allowed to vote. Many women wanted to make changes, but it did not really begin to happen until a woman by the name of Susan B. Anthony stepped into the picture. Susan was born on February 15, 1820, in Adams, Massachusetts. Parents who were social activists raised her in a strict Quaker home. She was not allowed to play with toys or games or have music. Her father did not want his children distracted by things which were not important. He wanted them to learn to be self-disciplined and have a strong sense of their own self worth. Young Susan was very bright, learning to read and write when she was just three years old. When she was six, her family moved to Battensville, New York. There she attended the local public school, until the teacher refused to teach her long division. Susan’s father set up a school at home for his daughters. Mary Perkins taught it. This teacher gave Susan and her sisters an example of an independent, educated woman. Susan eventually attended a boarding school in Philadelphia and then taught school for a time before moving back to her parent’s home in Rochester, New York. It was from there that she began her own activist career on behalf of the Abolitionists and Temperance. Abolitionists wanted slavery to be ended, and Temperance was a movement to help people reduce or stop drinking alcohol. It also tried to help women and children with alcoholic family members. Susan’s family had been long-time supporters of the Abolitionists. She knew or met many of its leaders, including Frederick Douglass and William L. Garrison. When Susan became more involved in the Temperance movement, she found she had a problem. As a woman, she was not allowed to get up and speak at rallies where men were in attendance. This was a source of great frustration to her and other female activists such as Elizabeth Cady Stanton and Amelia Bloomer. In 1854 Susan devoted most of her time to the Abolitionist cause and became an agent for the American Anti-Slavery Society. She was threatened by hostile mobs, was hung in effigy, and her image was dragged through the streets. After the Civil War, from 1868-1870, she and Elizabeth Stanton produced a weekly paper called “The Revolution.” In it, she advocated an eight-hour workday and equal pay for equal work. In 1872 Susan began demanding the same civil and political rights for women that had been extended to blacks in the 14th and 15th amendments. She was arrested when she tried to vote in a presidential election. When she was convicted of breaking the law, she successfully refused to pay the fine, which was her punishment. From that point on she worked tirelessly to get a federal women’s suffrage amendment. Between 1881 and 1902 Susan and others published four of the six volumes of History of Woman Suffrage. By the 1890’s people stopped laughing at her and finally began to respect what she was working for. In spite of all her hard work and efforts over the years, Susan died in 1906 without seeing the result she wanted so much. It was not until 1920 that the 19th amendment was passed, which gave American women the right to vote. Her contribution to helping women get the vote was honored in 1979 with her image on a one-dollar coin. She was the first woman to be so honored in the United States. When Susan B. Anthony was young, women had few legal rights. Through the efforts of her and many others like her, women can get a higher education, work at almost any job, own property, hold public office, and vote. While she never married or had children, she left a legacy of inspiration to make the world a better place, and it is still felt today. Somebody Loves You Mr. Hatch. 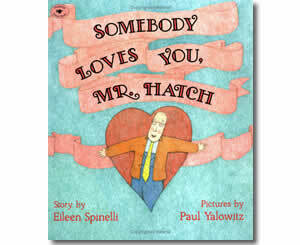 In Ms. Caputo’s class we read the book “Somebody Loves you Mr. Hatch”. In the story Mr. Hatch Gets Mail from the Mailman Mr. Goober. He gives him a package and he gives him a card that says somebody loves you Mr. Hatch. Mr. Hatch is a older man who never used to talk to anyone. He always used to sit in the corner by himself. Eating a cheese and mustard sandwhich and drinking a coffee by himself. He was lonely old man. 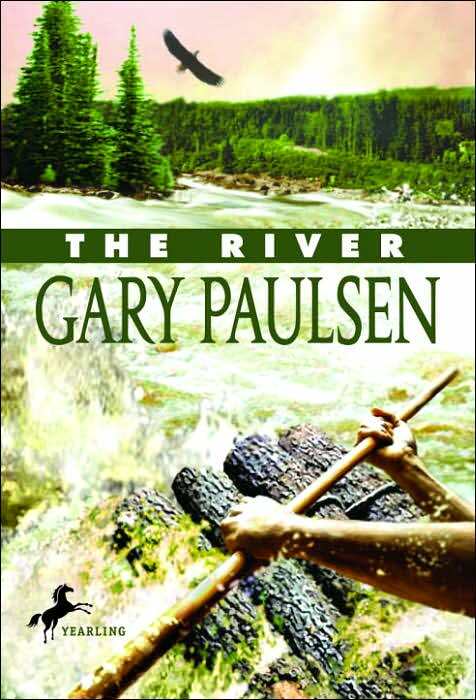 After we read the book our class discussed it and we wrote about it. Ms. Caputo Posed the question after reading the story Mr. Hatch What does the phrase “treat others how you want to be treated mean to you ” Relate this phrase to the story.